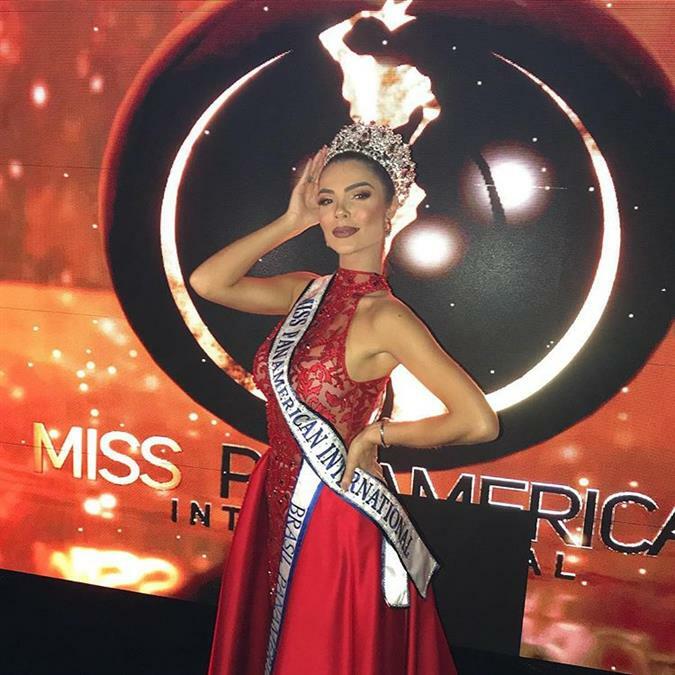 Miss Panamerican International 2018 hosted its grand coronation night on 20th October 2018 at M3 Live Anaheim Event Center / 2232 S Harbor Blvd, Anaheim, CA where sixteen gorgeous ladies competed for the coveted crown. Francielly Ouriques from Brazil was crowned the new queen by her predecessor Miss Panamerican International 2016 Katherine Prado Fallas. From São José, Santa Catarina, Francielly Ouriques works a professional model at L'equip Model Floripa while also being the owner of Handy Cosmeticos. The gorgeous beauty was also the most voted on the internet. Francielly Ouriques just crowned her successor as she completed her reign as Miss Asia Pacific International 2017. As the only international titleholder in the contestants, Francielly was definitely one of the strongest bets at the competition this year. She stands tall at 175 cm. The Top 8 contestants out the of sixteen comprised of Miss Panamerican International 2018 Francielly Ouriques, Miss Panamerican Mexico 2018 Itzel Astudillo, Miss Panamerican Peru 2018 Estefani Mauricci, Miss Panamerican USA 2018 Estefania De La Cruz, Miss Panamerican Colombia 2018 Estefania Munaz, Miss Panamerican Guatemala 2018 Gabriela Veliz, Miss Panamerican Dominican Republic 2018 Yakeiry Henriquez and Miss Panamerican Haiti 2018 Merlie Fleurizard.